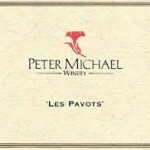 Peter Michael’s Winery & “Les Pavots”. We invited our neighbors to a party on Sunday … and the Chens have a dear friend, Hiro, who was looking at cars with all of us when we talked about the party. Of course we extended a heartfelt invitation to Hiro. 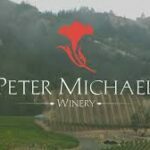 When he arrived, he came bearing a red-silk wrapped bottle … and later that night when I opened it, I found “Les Pavots” by Peter Michael Winery. I’ve heard about this wine but never tasted it before. In my “write a note before you consume it”, I’m hastening to let Hiro know what an extraordinary gift this is… and before the letter gets to him, I have a feeling we’ll be circling around this particular present!